As someone that grew up in southwest Ohio but started comedy in Pittsburgh, the allure of becoming a Queen City comedian has always been something I've toyed with. With clubs like Go Bananas and Funny Bone taking the time to invest in the local comedians of Dayton and Cincinnati, along with my family still being based there, a move certainly has its pluses. 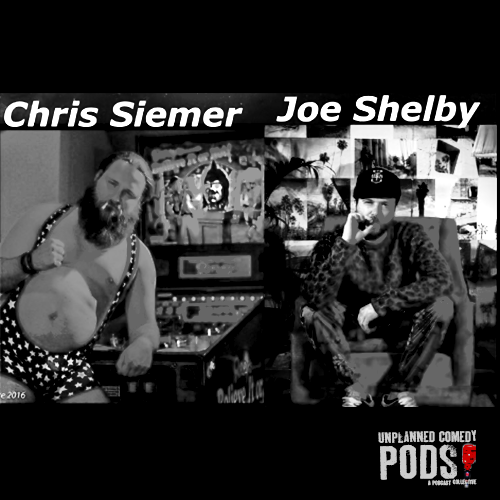 While Joe Shelby recently relocated to New York City, his roots in the 'Nati brought him into Pittsburgh for a Two Day World Tour with fellow comedian Chris Siemer. I worked with Chris last November during the Stand Up Erika Owen Fundraiser in my hometown of Springboro. We discuss the different stages of their careers, working in Cincinnati together, Joe's time in Los Angeles and New York City, and when Chris opened for the very special Katt Williams, a story that may go down as one of my all time favorite moments. In other news, when we reached 100 episodes earlier this year, I've tried to make it a point to ask each guest the same question every episode: "What steps can we take towards improving our mutual experience here on the planet?" Now moving forward through the second half of this year, that part of the podcast will be referred to as "Always Improving" and it will be brought to us each week by our Western Pennsylvania friends and new sponsors at Greenbriar Treatment Center. If you know someone struggling with drug or alcohol addiction, you can call Greenbriar confidentially at 800-637-HOPE or online a Greenbriar.net. With addiction recovery, detoxification, halfway houses, and both inpatient and outpatient rehab services they are finding ways to restore hope and recover lives throughout the region. Posted on July 4, 2018 by GARRETT TITLEBAUM.